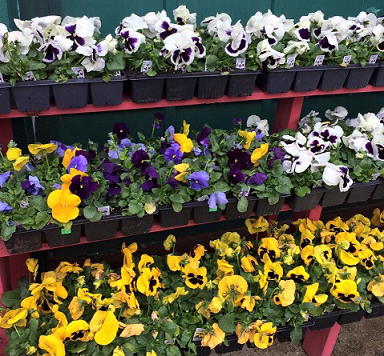 Easter Flowers This Weekend at the Farm! Our 50% off sale for selected items continues. 2016 CSA discount books are available. Booklets can be purchased online or in the store. They are a great way to support the farm while getting a store discount on items of your choice. 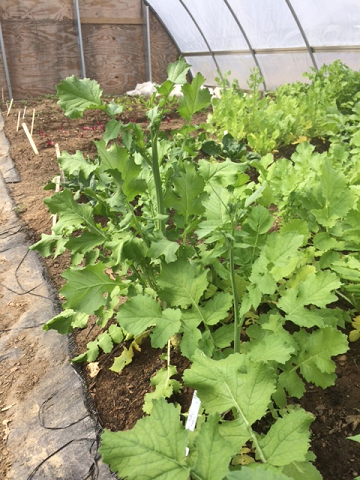 We will also have a small assortment of our own winter grown vegetables: daikon radish, lettuce, carrots, and arugula. 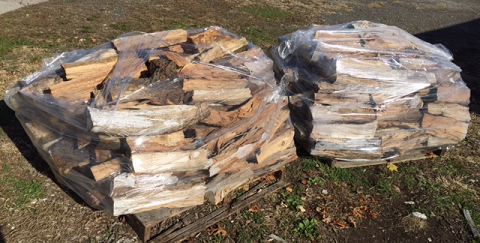 We have firewood! Available by the bundle, 1/4 cord, 1/2 cord, and full cord. 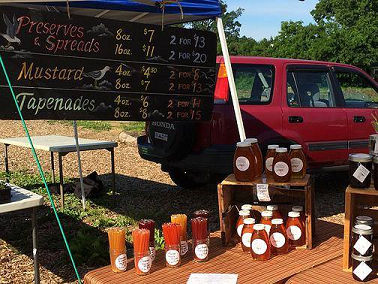 Our regular farmers market is moving to Saturday mornings this year! The market will start in June, but on April 23rd we will be hosting a Taste of the Farmers Market from 10 to 6. This will be a great way to come down to the farm to get a taste of what’s to come. 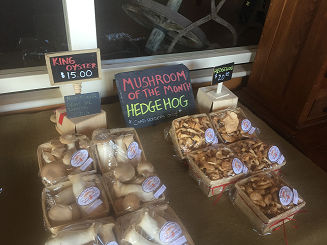 We have some exciting new vendors participating this year, including the the East End Mushroom Company and others to be announced. 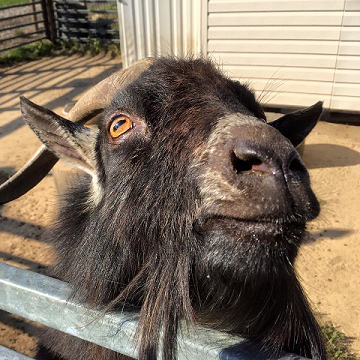 The farm officially opens on May 1st! Please join the event on Facebook and show your support! 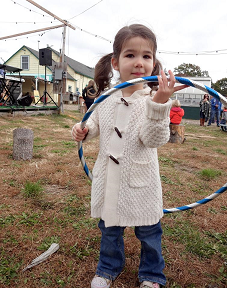 We will have a ribbon cutting, pony rides from the NYEC, hay rides, a bouncy house, live music by Copy Cat, craft vendors, food trucks, beer and wine, and lots of good stuff in the store. Sunshine Days: Summer Camp Is Back! Summer camp is coming back with more dates to choose from. You can reserve days for your child now! Choose one day, selected days, a week, or 3 weeks. Prices are reduced if purchased in advance. The more days you reserve, the lower the price. Click here for more information and to reserve days. 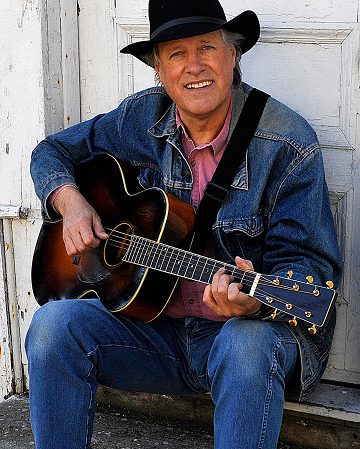 The Crossroads Folk Festival has a new date: June 12th. Tickets are on sale now. To purchase in advance and for more information, please click here. We have an exciting and ambitious growing plan this year. 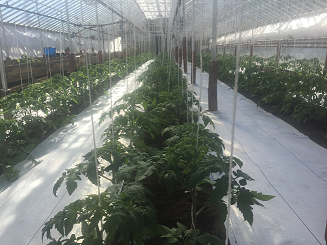 Field prep is well under way and the glass house is brimming with seedlings. 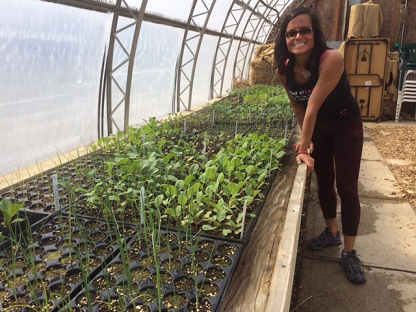 Field manager Stephanie Kane and the fruits of her labors. 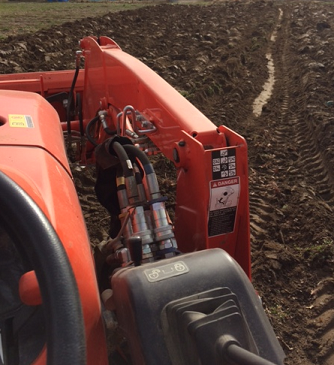 We are producing our own compost from horse manure. 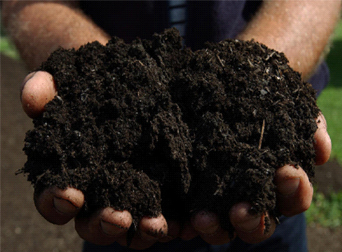 The material is certified organic for our farm use and is available for your garden or business in small amounts (5 gallons) and in large amounts by the cubic yard. Buy online or at the store and pick up from the farm. 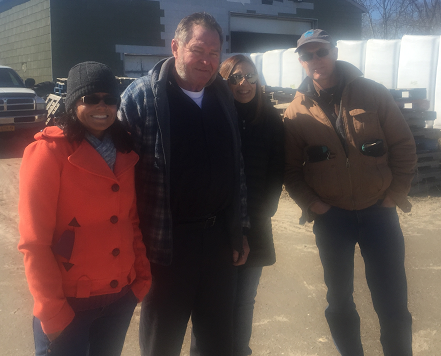 The production process is a great example of sustainable interaction between two farms, ours and the New York Equestrian Center stables in West Hempstead. 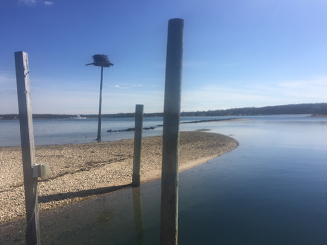 Stephanie, Judi, and I spent a wonderful day on the North Fork last week visiting established suppliers and hunting for new ones. We got to visit old friends and make new aquaintances. Each stop was enjoyable and educational. 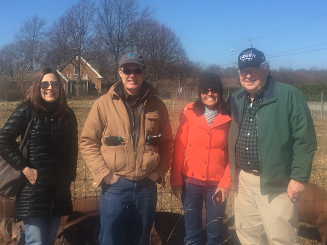 Art Tillman, a great friend of the farm and a one-time Malverne resident, and his daughter Leah Sullivan served as our guides. 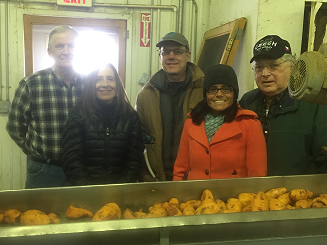 The first stop was the North Fork Potato Chip factory. 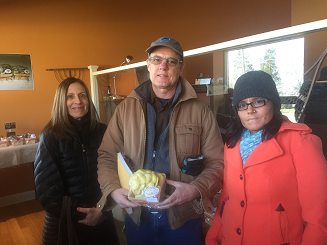 Martin Sidor, who owns and operates North Fork Potato Chips as well as Martin Sidor Farm where most of the potatoes for the chips come from, welcomed us for the tour. Martin Sidor talking about making potato chips. Much of the work is hands on. From left to right: Martin Sidor, Judi Consigli, Rick White, Stephanie Kane, and Art Tillman. 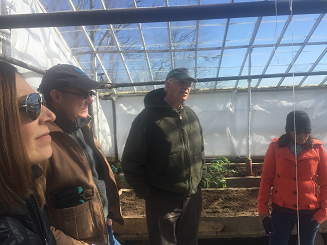 Our next stop was 8 Hands Farm in Cutchogue. Owners Tom Geppel and Carol Festa welcomed us and spoke of expansion plans now in the works. We look forward to working with them over the coming years! We then moved on to the East End Mushroom Company where John Quigley and Jane Maguire are producing an amazing and high quality mushroom product. 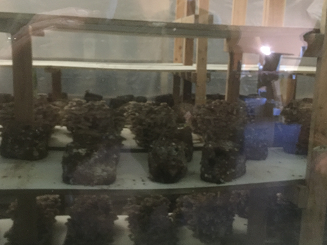 They produce shitake, oyster, and maitake on site hydroponically using no chemicals. 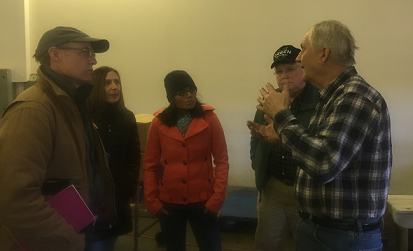 The tour continued with a visit with Gene Wesnofske who produces a wide array of vegetables. 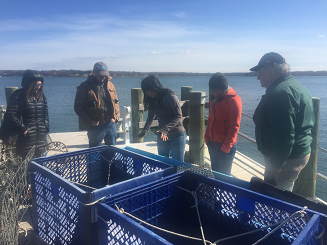 The next stop was Widow’s Hole Oyster Company owned and operated by Mike and Isabel Osinski. We started with an expert tour by the Osinksi’s college-bound daughter. The farm is in a beautiful cove in Greenport. We got to sample the product. Click on the picture above for a short video. 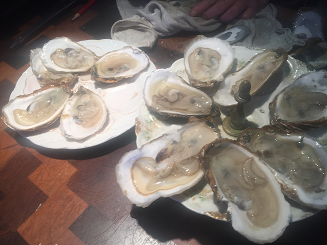 Mike gave us the low-down on the oyster business. 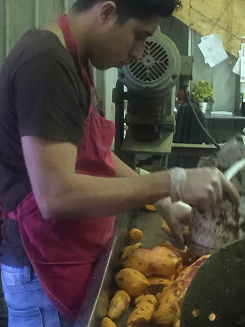 We stopped at Sang Lee Farm to talk with Fred Lee, then finished up at Wickham’s Fruit Farm. 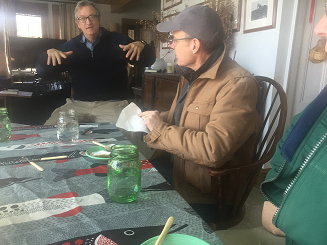 Tom Wickham is an old friend and we are always overjoyed by and in awe of his early tomato plants. Tom showing us around in one of his historic green houses. 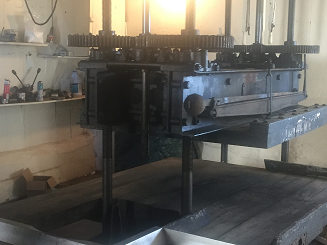 The cider press at Wickhams. Look for exciting additions to our farm stand as a result of these and many other direct relationships with local producers. 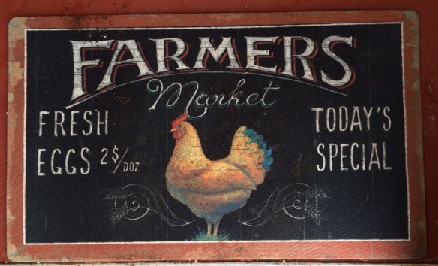 The farm store opens again full time on May 1st, but on Saturday, March 12th the store will be open from 9 to noon. It’s buyers club pick up day. Come on down and pay us a visit. If you’d like more information about our monthly buyers club , please click here. This is one good way to be on the inside track for a wide array of local, natural food products like the Long Island-produced mushrooms from East End Mushroom Company. 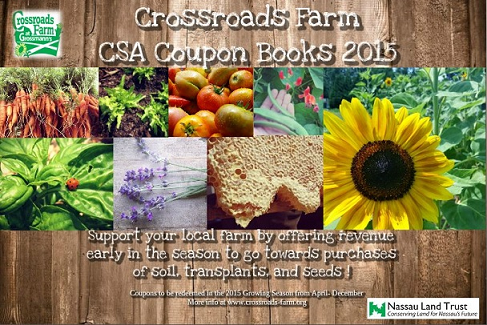 As always, CSA books are a great way to support the farm and get a discount in the store at the same time. Books are available for $50 and $100 and hold store vouchers worth $55 and $110 respectively. We sell these books at the beginning of the season to help us pay for farm start up costs. Please visit our web site to purchase your book now! The farm offically opens on May 1st! Please join the event on Facebook and show your support!